As 2016 comes to an end, so too does our year of celebrating our NIAF 2016 Region of Honor, Piemonte (Piedmont). 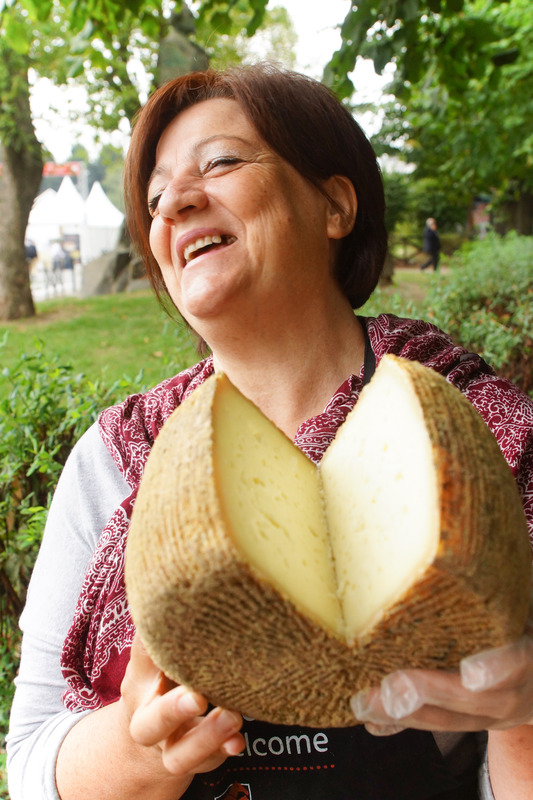 Today, we’re sharing a blog post from our guest blogger team, The Recipe Hunters, on their time in Piemonte during the world-famous Terra Madre – Salone del Gusto, organized by Slow Food. “We don’t want fast food…We want slow food!” cheered a crowd of protesters standing at the Spanish Steps in Rome, where the largest McDonald’s store in the world was opening. It was 1986 and Carlo Petrini, an Italian journalist, had organized his peers to petition McDonald’s by equipping themselves with bowls of penne pasta. 30 years later, the Slow Food grassroots movement has evolved into an international organization with over 100,000 members with local chapters in over 150 countries. The organization’s philosophy is to promote the accessibility of food that is good, clean, and fair. Ever since starting The Recipe Hunters, I have been involved with the Slow Food movement whether it’s as a member, advocate, or my lifestyle choices. 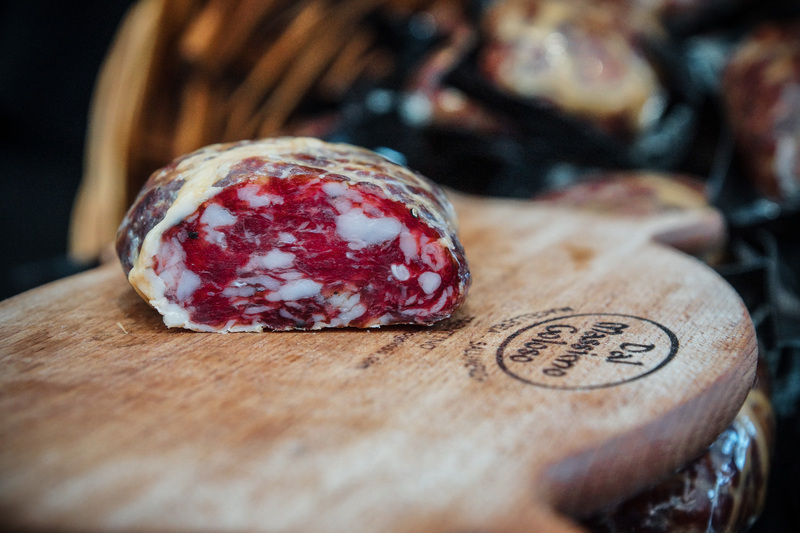 So when I was invited to come to Piedmont to celebrate Slow Food, I made the only sensible choice: to buy a one-way ticket to Turin to participate in Terra Madre and to recipe hunt in Piedmont. To bring the local chapters together globally, Slow Food organizes a biennial event called Terra Madre – Salone del Gusto. 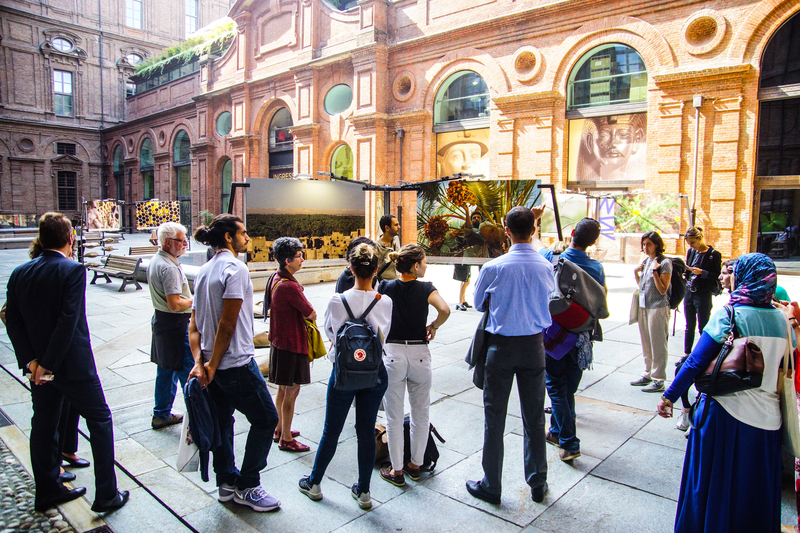 Terra Madre (Mother Earth) is a series of lectures, forums, speeches and discussions and Salone del Gusto (Tasting Room) is a festival of tastes and flavors from around the world. This year, the event was held throughout the city of Turin, the capital of the region of Piedmont, which rests at the base of the Alps along the river Po and is home to some of Italy’s most important universities, museums, palaces, and piazzas. 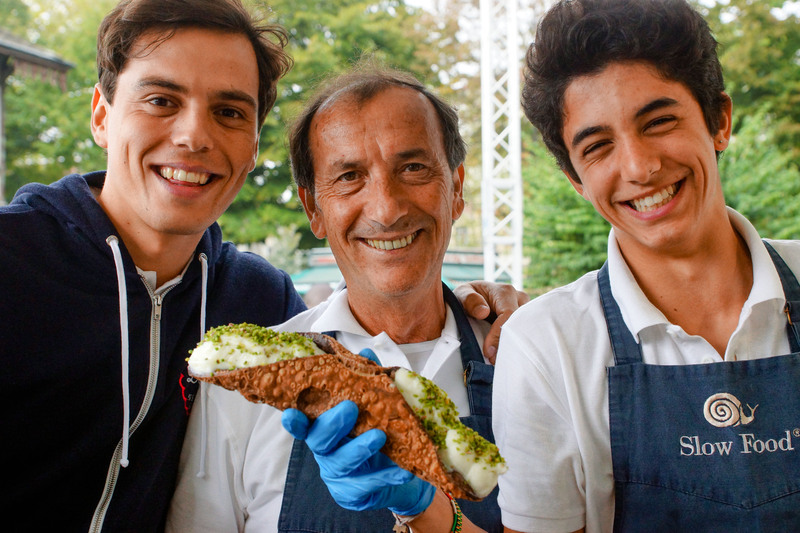 The festive event, which took place from September 22nd to 26th, enveloped the city and flooded its streets, piazzas, and historical buildings with events, international food tents, and hundreds of thousands of people: from foodies, food makers, and journalists, to students and politicians. The lectures and discussions of Terra Madre all addressed key issues surrounding the food movement from what it means to be “sustainable,” to the recent buy-out of Monsanto by Bayers. I attended a forum where a panel of Indigenous Peoples from every coordinate of the earth spoke out about the struggles and threats they faced in keeping their age-old traditions and lifestyles intact. I heard from organic food leaders in the U.S. and Europe who debated the present-day labeling system, and the growth of the organic and bio-dynamic food markets. As a group, we discussed the future of Slow Travel and how to promote sustainable tourism. Each forum, discussion, and break out room resulted in high-level conversations, enthusiasm, and optimism for the future of our planet. 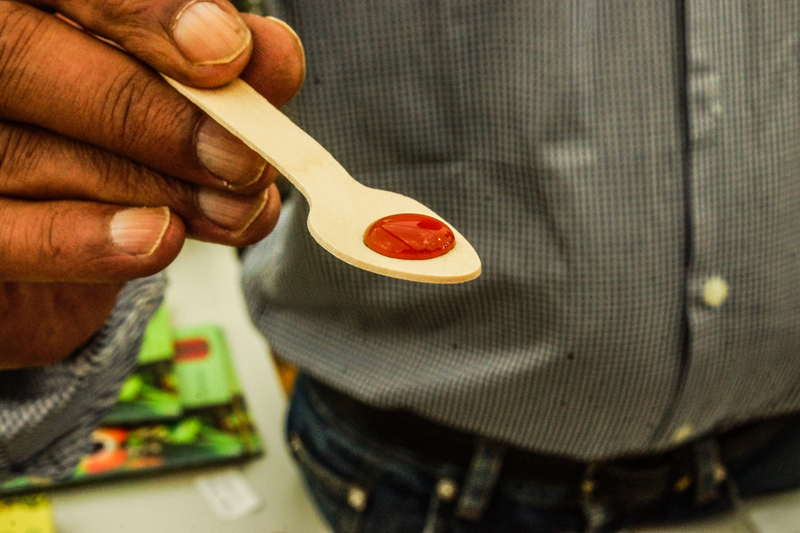 The stands at Salone del Gusto offered samples and tastes of rare and indigenous food products which are being safeguarded by Slow Food. Delegates from each country were sponsored to attend Terra Madre and represent their country, region, or tribe at each stand. As for taste testing, I was able to try: traditional, nomadic Mongolian dried cheese curds, a Sri Lankan sap that is extracted from wild palm trees, a drink pressed from the seeds of guarana in the Brazilian Amazon Basin, and a pasta from Puglia made from “grano arso” or “burnt grain,” which historically was the grain that the peasants cultivated after the harvest when the fields were set on fire. 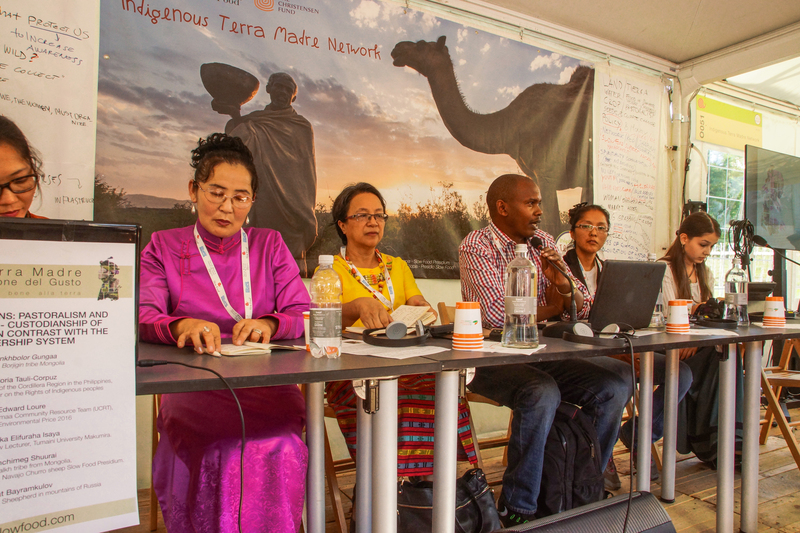 Salone del Gusto proved to be the perfect platform for me to connect with locals in countries that I want to recipe hunt in, such as Kyrgyzstan, Ecuador, Kenya, Tunisia, and Japan. The most moving experience was marching among thousands of individuals from every age and background though the streets of Turin in a gesture of solidarity towards living and promoting a life that is healthy to ourselves and our planet. I have never before felt such a feeling of camaraderie between strangers. As Italian Americans, we should be proud that a fellow Italian, Carlo Petrini, was able to create and cradle such a powerful and important movement that has united hundreds of thousands of people together regardless of religion, race, creed, ethnicity. I urge everyone to research Slow Food and get involved in any way that you can! If you can’t wait until Terra Madre in 2018, Slow Food USA is hosting an event called Slow Food Nations in Denver this summer from July 14-16th, celebrating “slow and sustainable foods.” You may see us there! Side note: If you are interested in learning a few Piemontese recipe classics, check out The Recipe Hunters’ newly-launched YouTube channel, www.youtube.com/therecipehunters, where we will be publishing traditional Italian recipes and adventures. The Recipe Hunters, Anthony Morano and Leila Elamine, travel around the world in search of traditional recipes and the stories behind the people who maintain their culinary heritage. 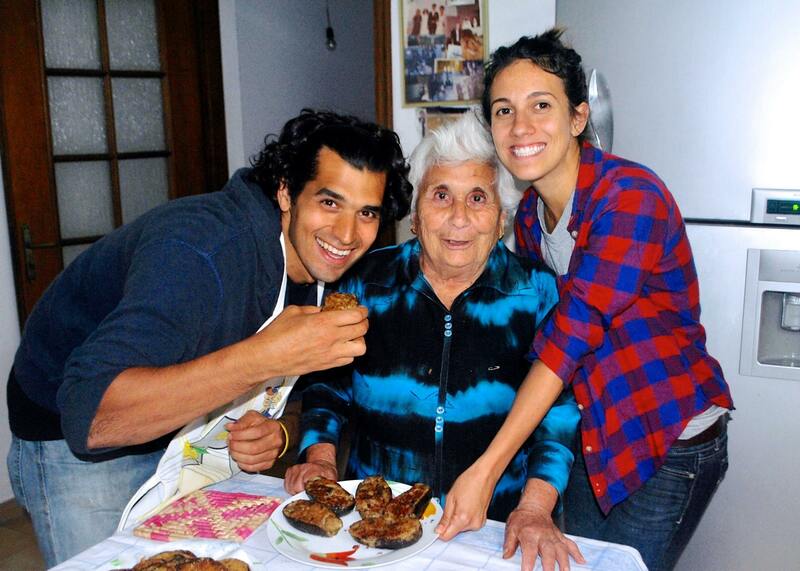 During their time abroad, they volunteer on homesteads and small-scale, organic farms where they learn about the terrain and the region’s seasonal produce, as well as attempt to forge new relationships with people involved in traditional food making, always doing their best to integrate themselves into the local community. You can learn more about them here. Image | This entry was posted in Blog, Culture, Italian, Italian American, Italy, Travel and tagged Food, Italian, Italian American, Italian cuisine, Italian culture, Italian Food, Italy, National Italian American Foundation, NIAF, Piedmont, Piemonte, Slow Food, Torino, Travel, Travel Italy, Travel Tuesday, Turin. Bookmark the permalink.